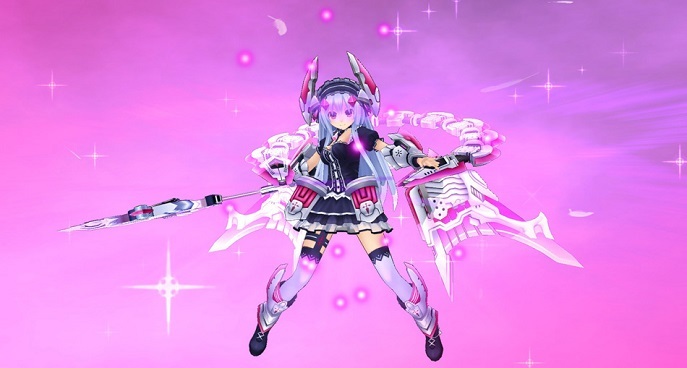 Idea Factory, teamed up with Compile Heart have worked on Fairy Fencer F’s port for the PC and it’s now on the Steam Store including all DLCs. This charming yet uncommon RPG steps in once more with a lot of action, somewhat interesting characters, and a decent amount of customization options. The story is pretty straightforward, not very complicated and lacks a bit more depth into it. This makes bland to a certain degree and can easily be said it’s not its strong suit. 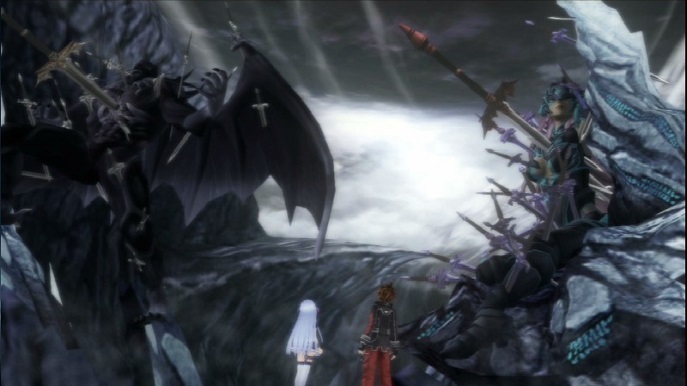 The plot basically tells the story of a war between the Goddess and the Vile God, to contrasting entities who are powerful enough to grant wishes of massive magic. As they found themselves equally matched, they were both sealed by the game’s primary (and only I suppose) weapon: The Furies. The main character, Fang, a lazy and young dude that only thinks about eating good food, find himself a buried Fury in the ground of the town he is in. An Excalibur-Like story, he was the only one to pull it out in hopes of getting a wish granted by the Fairy inside it, only to find that the Fairy, Eryn, will innocently pop up and tell him that they must revive the Goddess to save the world. Fang, as lazy and not really into getting such bothersome tasks, slowly becomes more intrigued in this matter, mainly focused on recuperating the fragments of Eryn’s memory as that is all she can even remember after popping from the Fury. Along the way, they will encounter allies and foes, each with common or different objectives regarding the revival of the Goddess or the Vile God, but they all share the same method, by collecting all the Furies scattered around the world. 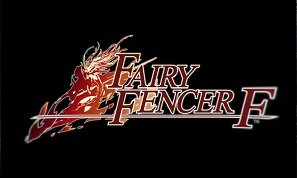 Everyone with a Fairy companion and a Fury is called a Fencer. It just so happens, that this game as an RPG has quite a few options for character skills, abilities, traits and what not. The interesting thing about it is that almost ANYTHING rewards you with permanent stats upgrades. Jump 10 times as the leader? Here, have some upgrades, you’ve played as that character for 30 minutes? Here have more, that character hasn’t fought any battle? No worries! Have some extra agility! 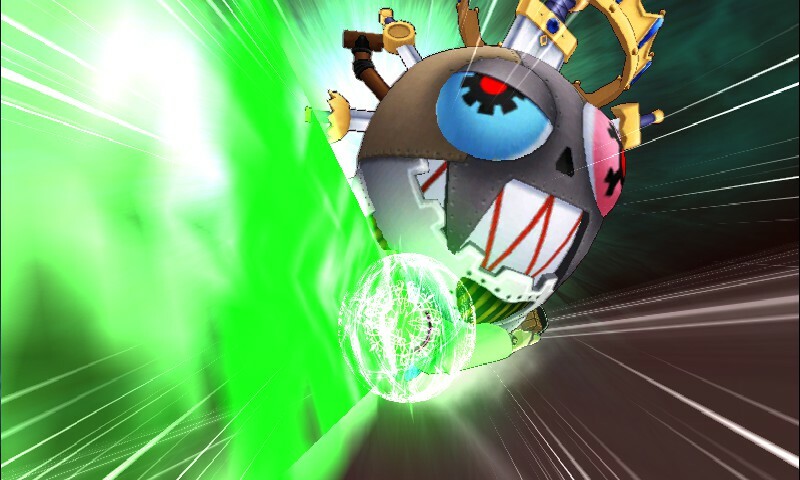 The game focuses on having the casual P-Attack/Defense for Physical damage as well as its Magic counterpart. Characters can also have their range buffed and Transform bar (will explain later), also having the option to increase their Combo bar. On different tabs we have the Abilities which differ depending on the character’s elemental traits, but all of them can learn basic abilities and passive buffs as well as learn different weapon attacks. All of these upgrades cost WP (a number obtained after winning an encounter) as well as a prerequisite to unlock them (say, have P-Attack at +5, or having unlocked another skill, or having a specific Revival Rank). Like most RPGs, especially from this developer, we have characters with their basic health bars and SP bar for special abilities. Your group can consist up to 3 characters which you can choose a leader. 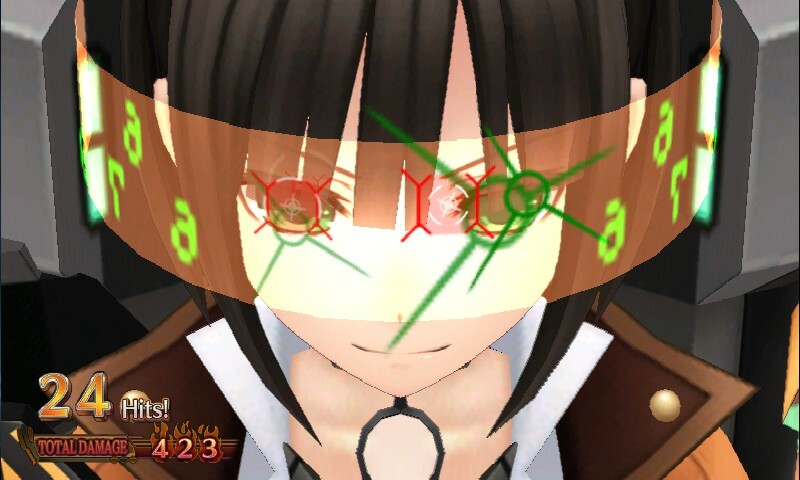 The dynamic of gameplay is based on plot or casual conversations and dialogues in the style of voiced Visual Novels, and then you can search the world Map to find your next mission, labeled as an orange “Event” sign or a green one for sub events. Entering these will most likely trigger cut scenes and more dialogue, but then you enter the dungeon. Once inside a dungeon, you play and move as only the assigned Leader; you simply move and jump as stiff as a robot and can come close to roaming enemies to start an encounter. These encounters will show sometimes more enemies that the one you clashed into, and so the turn based fight begins. 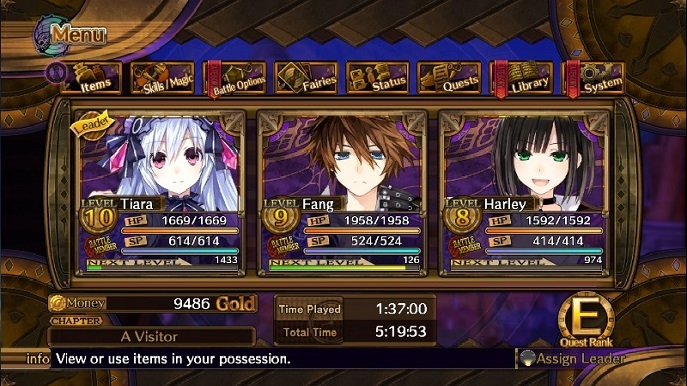 Once in battle, you can choose each of your characters different actions one by one depending on their turns. Each character has the same wheel for options, including a basic range or melee attack, a special buff (differs from each character), and Switch option that takes up the turn but can switch from to a different character, and probably the most interesting option is the option to Fairize, a transformation that fuses you and your Fairy infused Fury with always cool animations that will skyrocket all your stats. Only way to Fairize is to reach enough Tension Meter (it fills up more depending on the number of hits you do) reached a light blue-green threshold. This is highly advisable at it change the tides of any battle. 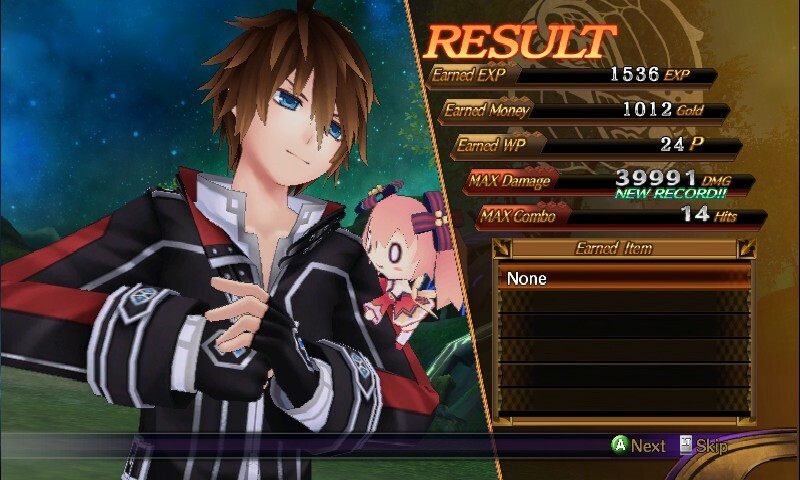 After winning, you will get the classic Idea Factory results screen, showing you your rewards and highest damage combo. Furies are weapons infused by Fairies, which can take the form of Swords, Axes, Glaives, Scythes, Bows, and even Guns. You do not equip the found Furies, but you can equip the Fairies inside them, as each has different elemental capabilities that can buff a character accordingly, as per example, Fang uses pyro magic so a Fairy with fire elemental bonuses can really increases his damage output and resistances. They can also be leveled up the more fights you have them on you and learn more bonuses. This is not the only flexible customization option, as each character can have their Combo Bar upgraded to do more than one attack per turn, with each being customizable at your wish and even has a chance to perform an avalanche attack (consecutive combos attacks performed in a single turn by all your party members). Now that you know the basics, it’s probably clearly obvious that you can simply go all out of the first turns, transform, use your strongest spells, and your enemies will hardly have a chance, due to keep an eye out for your SP meter status effects caused by enemies, nothing a special Potion can’t solve of course. 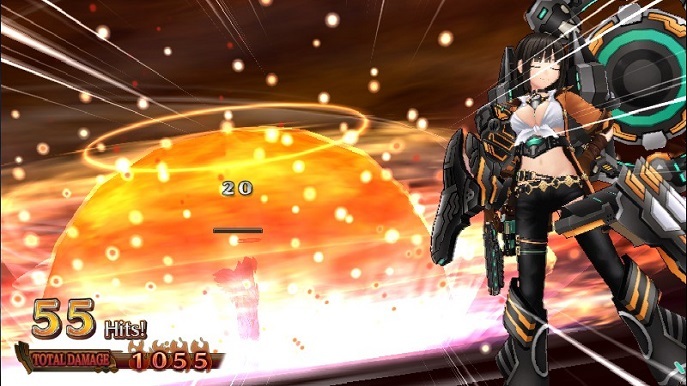 The game also offers side missions which consist of collecting specific enemy drops. This can be re-obtained if you can lots of materials and get rewarded with a bunch of money and XP, but it seems that their only game changing aspect is to do the side missions labeled as “Important” which increase the Ranks of the missions. The ranks go from E to A, ranging from missions as well as Fairies, each of course being stronger than its older versions. Alright, so far so good, but is it THAT good? It just so happens that the game as fun and charming as it may be, it has quite the gameplay flaws. When you collect furies you can stab them in the world to add extra bonuses to dungeons which makes them more interesting. But these furies can only be used in this matter if given a World Shaping effect bonus, only obtainable by using each one of unsealing either the Goddess or the Vile God. You pull out a Fury stabbed into one of these entities, fight a battle, and obtain the buff on the Fairy you chosen. You might wonder, if I can pull the Furies from either the Goddess or the Vile God, won’t that change the course of my story? No, no it will not, it’s as if they are just statues, and the only way to obtain all of the Furies is by removing them all from these two entities, without no change to the story. The other matter I wanted to address is how the story is so short that it needs to recycle its content. Without spoiling anything, I will just say it’s extremely obvious how they do it and if you play through the campaign you will immediately notice what they are planning on doing. I will give points on the effort of recording new dialogues and elaborating new art and cut scenes for this “new” segment of the campaign though. On the other hand, grinding to obtain special recruits and overpowering your enemies once more is very rewarding. And to be fair, the true endings are quite satisfactory, just remember to rotate your saves. How about the art style? From the artist Tsunako, this is as much anime as you can get. Each character being somewhat unique between them and having interesting personalities does strengthen the story. Although the amount of anime tropes included really makes the group of characters look like they are just another shonen anime. I will admit that the animations and 3D art (as well as the sprites) are very well made and illustrated. It is always fun to figure out how each character's special spells will perform, either in a normal form or in the Fairize form. This game focuses on well-timed music cues. Each time you transform or start a fight, rock music blasts off and gives you a slight Saturday Morning Cartoon action vibe. These tunes will get catchy, of course as they are cued into very popular gameplay options, but not very annoying to listen over and over again. The music might be mixed a bit low, but it is well balanced in terms of panning and really ties the animations together into one single awesome event. 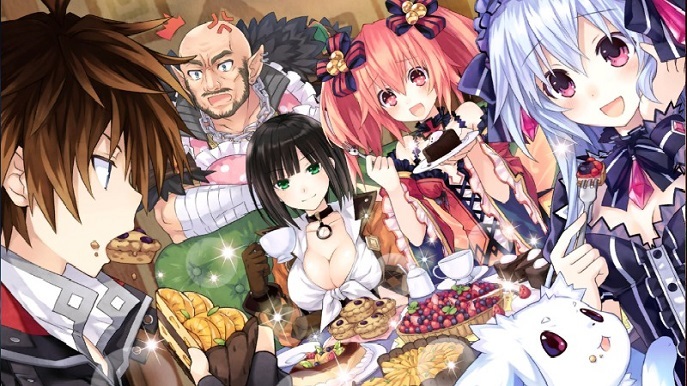 Fairy Fencer F is a charming RPG, with many customizable options that allow you to give more fun into your campaign. Putting aside the repetitive tasks and recycled content, it is a very good PC port, with great localization and greatly improved visuals. The fun factor boosts up with as much power as a Fairize transformation can give you.